Huayhuash.com is part of Go2Andes, a local tour operator, based in The Peruvian Andes. 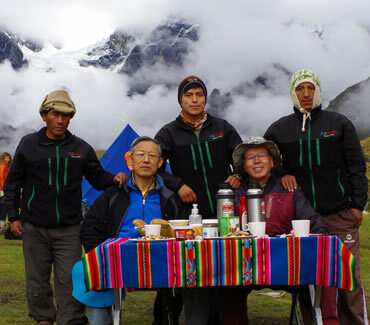 We specialize in organizing treks, mountaineering tours, and all kinds of adventure travel; as well as providing all the logistical support for trekkers, climbers and adventure travelers in the Cordillera Huayhuash and the Cordillera Blanca - Peru. From our own experience, we understand what the main points of interest are and what one needs to feel secure and comfortable away from home. We want to show you the beauties of the Cordillera Huayhuash, the Cordillera Blanca, and all of Peru. When you travel with us your goals and objectives are also ours.